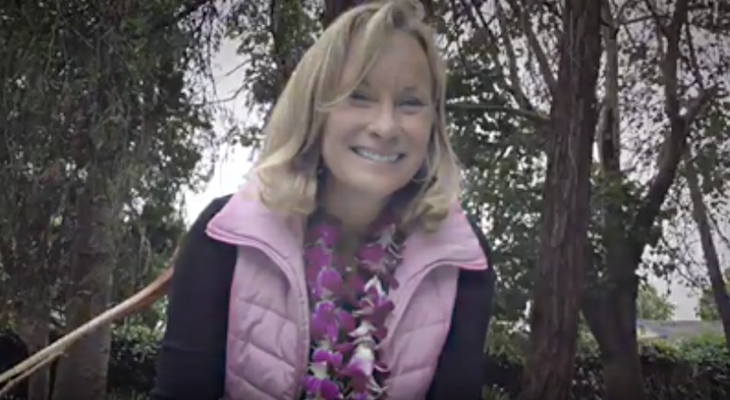 Marcie Kjoller, a UCSB Hall of Fame swimmer who remained in the community as a teacher and an inspirational fitness advocate, drowned last Sunday off East Beach. Kjoller, 50, had been swimming in the ocean when her companions lost contact with her. After she was found and pulled ashore, CPR was administered but failed to revive her. Marcie Fuller (her maiden name) came to UCSB from Moraga in 1986. She helped the Gaucho womenâ€™s swim team win four Big West championships. As a freestyler on relay teams, she earned NCAA All-America honors in 1987, 1988 and 1990. She was inducted into the Gaucho Athletic Hall of Fame in 2016.
â€œShe was super competitive,â€ Wilson said. â€œShe was a team captain who set the template for what the captain should be.â€ The coach put Kjollerâ€™s name on the annual UCSB captainâ€™s award. Kjoller started teaching at Vieja Valley School and currently was teaching first and second grades at Santa Barbara Charter School in Goleta. She was a close friend of Schroeder, also a teacher, both raising two children. In 2001, they founded Moms in Motion, a program that trained women to get in shape for a triathlon. Kjoller also founded a childrenâ€™s triathlon camp and helped Schroeder with Momentum 4 Life, another training project. Kjoller stayed active as a triathlete and swimmer. In 2007 and 2008, she participated on six-person relay teams that swam across the Santa Barbara Channel from Santa Cruz Island to the mainland. Kjollerâ€™s friends have planned a paddle-out in celebration of her life this Sunday, April 7, at 1:40 p.m. at East Beach. They will then congregate at the Red Piano, 519 State Street, where Kjoller enjoyed the music scene.